We found 105 independent new or used book stores near 94951 with open storefronts. If you are interested in visiting one of these stores, we highly advise that you contact them first by e-mail or phone to verify store hours. And, be sure to say "Biblio says hello!" when you stop by! Specializing in rare, vintage & out of print paperbacks,first prints,noir & GGA cover art, and other out of print hard-to-find books. Open 10:30- 17:00 Monday-Friday. Antiquarian books, Art books, Graphics, Posters, Autographs. The shipping charges advertised are generally accurate. However for very heavy titles or multi-copy sets we may seek extra charges prior to shipping. We're a Mom & Pop operation. We specialize in older books, most in very good to excellent condition. We are constantly adding new finds, so keep an eye on us. You never know what will turn up! At this time we have posted several hundred titles with many more to come in the very near future. We offer a variety of new, used and nearly new books covering a wide range of topics. We offer personal service in helping you find rare and hard to find books. We sell vintage art, books, ephemera and other collectibles. I am an individual collector with a love of children's classics! We have books on most subjects, however we do have a large selection of Chinese History, Jewish History, and African History to choose from. Specializing in autographs and signed modern first editions, signed limited editions, American literature, modern fiction, non-fiction, performing arts, plays, young adult, and collectible children books. I run a small online bookstore based in the San Francisco Bay Area, shipping worldwide. Thank you for your business! Satisfaction guaranteed. Returns accepted for any reason within 30 days of delivery, though we ask that you do us the courtesy of notifying us in advance. Please note that all returns must be sent back in the same condition in which they arrived. Mail order antiquarian books,specializing in photography, art, signed and inscribed books, first editions. We look for interesting books to put on Biblio at estate and garage sale. Never know what we will find. Generally art , travel, history and fiction. Many are quite old and fairly rare. Masalai Press is a publisher, book importer of new books and reseller of used books. Thank you very much for visiting my store. MyFirstEditions specializes in scarce books and other titles I think my customers may find interesting. I always strive to provide a premium shopping experience. I look forward to serving you. New and used collectible books in great condition. We give old books new life! Every book is individually inspected so descriptions are accurate and you will never be disappointed. My name is Joe and 100% Customer Satisfaction is my Goal. Please contact me if you are not satisfied with your order in any manner. I will always personally reply to all messages sent to NorthCoastTradingPost@Yahoo.com. I will also do everything in my power to address your concerns and make things right! 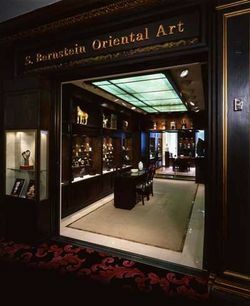 S. Bernstein & Co. draws upon more than twenty five years of expertise and associations with scholars, curators and art historians worldwide. We provide rare and signed volumes as part of our extensive art reference library. A lot has changed since Marty and Jan were first bitten by the bug of book -collecting. When we started, we focused on mysteries; just about anything that said First Edition ended up on a shelf (or a stack) in our house. Over the years our tastes have become broader, the stacks taller (a problem for Jan, for some reason) and our enthusiasm for this gently mad and wonderful pursuit has grown unchecked. After a few years, working in a bookstore that dealt in new, used, out of print and rare books, we learned about quality points and how to give an honest description of a book�s condition. It is very important to us that a book gets to you in the condition that you expect. If that expectation isn�t met, the book may be returned (in the same condition) for a full refund. In the meantime, we keep being thrilled by the occasional find that is rare or beautiful or gives us insight into some arcane corner of experience. This world can range from a pamphlet put out by a regional bank, to a slick display of expressive art, to a treatise on some esoteric subject. Current strengths in our collection include fiction, poetry, and history (esp. California). We also have surprises in other areas, so we invite you to search for your own preferences and see what you can find. Established in 1988, Skyline Books specializes in modern literature, with an emphasis on the Beat Generation, sixties counterculture, Pop Art, student activism, Fluxus, rock music, photography, signed books, Happenings, psychoactive drugs, Pop Culture, Avant-garde art, and more. Modernist, post-modern, experimental fiction, mostly in hardcover; all in very good to very good + condition. The Book Forest has been selling books on the internet since 2004, with a 98% customer approval rating on other internet book selling venues. At The Book Forest we never mislead customers on the condition of a book so that we might make a sale, and we ship all our orders within 24 hours of receiving them. 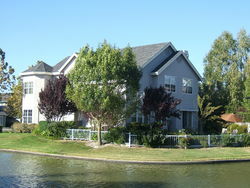 We also have a 100% money back guarantee, and we handle questions and concerns within a few hours of receiving them. 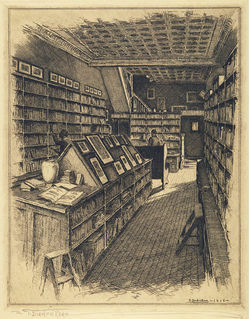 The Brick Row Book Shop, founded in 1915, is one of the oldest antiquarian book firms in the United States. We're located a block from Union Square in downtown San Francisco, and are open by appointment Monday-Friday. The photograph is the Shop as it was shortly after its founding in New Haven, Connecticut. Thousands of titles are in stock!!! Mail order only. If you don't see what you are looking for please ask; the item may be available but not listed on the web. Please send your want lists on any subject, title or author to tonybook@att.net and we will search for it promptly. Wit's End Books is a small Book Store in the San Francisco Bay Area. We have been in business for 9 years. 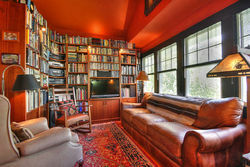 We offer a wide variety of books, but specialize in rare and unique titles. We also have DVD's, CD's and other Media. Zenosbooks.com is a secondhand and out-of-print Internet bookstore. While our stock is general, we specialize in Literature, Mysteries, Latin American Literature, African-American interest, and Translated Literature.